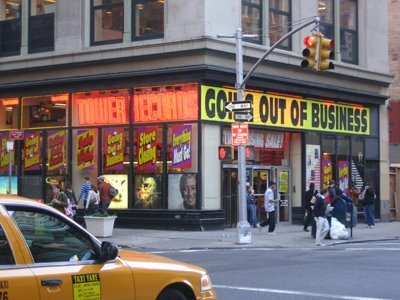 This & That by Dangerous Diane: Tower Records is Closing! The clerk who waited on me and my daughter said it's world wide. How many jobs is that? Dana, who has worked in the music business says people don't buy CD's, the internet is killing music and hurting the musicians. It's that simple. So Dana bought some CD's for her roommate's birthday and we went to the movies.